Discovery and experience are the two most important words when it comes to describing Namibia. When you look past the immense arid open spaces you will discover Namibia as it unfolds a wealth of geological and cultural history, an unexpected diversity of plants and wildlife, a rough and pristine coastline and an untouched wilderness. It's a place where you can climb the highest sand dunes in the world. Descend to the floor of the deepest canyon in Africa. Watch wildlife as they roam on one of the most spectacular pans on earth. And explore the oldest, driest desert in the world. 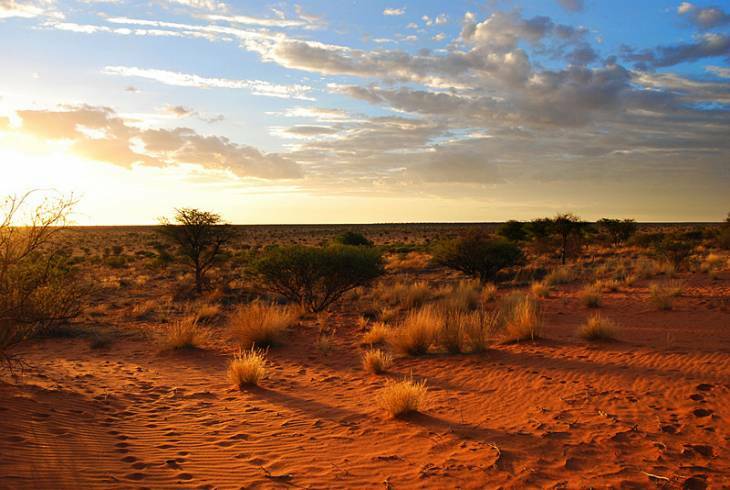 Two of Namibia's biggest calling cards are the Namib Desert and an almost hostile coastline. But beyond these two, the rough icy waters and the sea of sand, lies a rocky expanse that has been largely unchanged over the years. Rock formations such as Spitzkoppe or the Brandberg and the Fish River Canyon are obvious landmarks, but Namibia is dotted with other features such as underground lakes, strangely shaped rocks, meteorites, petrified forests, flat topped mountains and the Etosha salt pan that is so large that it can easily be seen from space. But there is more to Namibia than dry open spaces. As a country, Namibia is home to vibrant cities where the population is excited about their future, while remaining deeply connected to their rich, cultural past. It is a country with a stable, democratic government, infrastructure that allows guests to move confidently off the beaten path. To many South Africans and even some further afield, Namibia is remembered as South West Africa, but Namibia has much deeper roots. It was a 23 year battle for independence from South Africa which was started in 1966 by the South West Africa People's Organisation (SWAPO). It was a war for liberation which was finally won on March 21, 1990 when Namibia became an independent state. But its history goes even further back than WW1 when Germany, who had colonized it the end of the 19th century, surrendered it to the South African expeditionary army. In fact, the history of this land can be found carved into rock paintings found to the south and in Twyfelfontein, some dating back to 26,000 B.C. Various people groups including San Bushmen, Bantu herdsmen and finally the Himba, Herero and Nama tribes have been making this rugged land home for thousands of years. So don't just visit Namibia, Explore Namibia! Discover and experience Namibia for yourself!